John is the second generation of printing press repair technicians in the Sutter family. John K. Sutter has taken over his father’s cylinder repair business, in addition to his own press repair services. This means that one call can solve all your printing press repair needs, including in-press cylinder damage, general repair, installation and service. John can repair your cylinders in the press with less down time. Cave-ins, low areas, deep holes, bent journals, plate and blanket corrosion, plus other types of damage can be repaired in this way, saving you considerable expense. Click the links above to see examples of types of damage that John can repair. 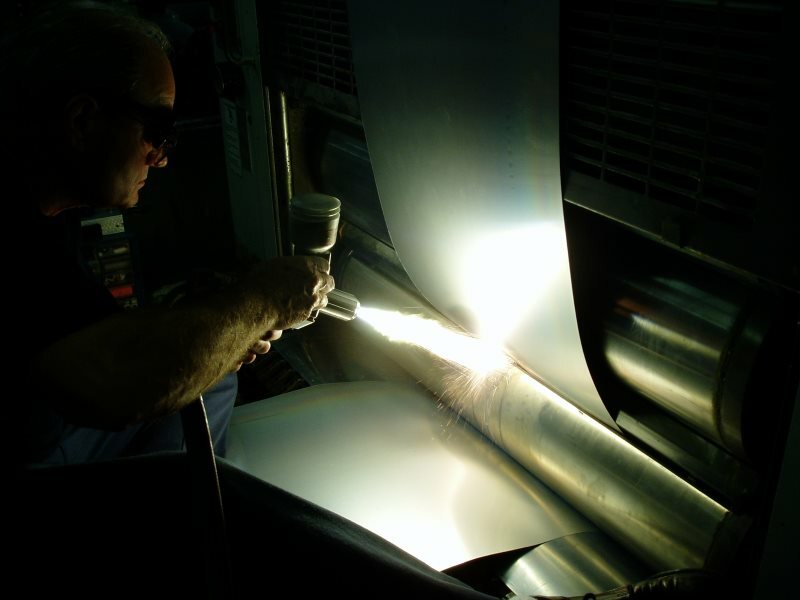 John also repairs all brands of printing presses and related equipment, specializing in Harris press repairs and parts. Click the Printing Press Repair link above for more information. Copyright 2003-2017 John Sutter Press Repair. All Rights Reserved.